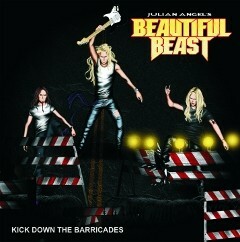 Julian Angel's BEAUTIFUL BEAST will release their third album "Kick Down The Barricades" through Platinum Blonde on January 24th 2014. The band released so far "Adult Oriented Candy" (2011) and "California Suntan" (2012), and "Kick Down The Barricades" sounds more raw and edged than the band’s previous records. 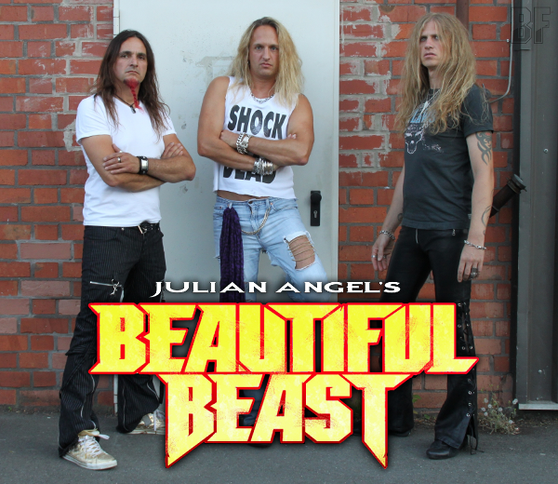 The album was recorded at Julian Angel’s studio The Vegas Room and mastered by Rolf Munkes (Tony Martin Band, Empire, Razorback) at Empire Studios in Germany. Julian Angel and BEAUTIFUL BEAST have refused to add any modern elements to their songs and thereby manifest their reputation of being Hair Metal traditionalists, and also they keep waving the 80s Hair Metal flag with their authentic late-80s sound: catchy hook lines, cool riffs, virtuous guitar solos, huge choirs - and a whole lot of attitudes. The sound, the style, the same old stories - you have heard it all before and you will hear it again. Beautiful Beast mastermind, Julian Angel has scored #8 in the album chart in Austria as songwriter for rockabilly group The Monroes in 2013. He is also the sole producer of MusicBiz Madness, a music business conference for unsigned musicians, which regularly features renowned keynote speakers from the German music industry. If you are a fan of Poison, Autograph, Dokken, Bon Jovi and Def Leppard, you will love the new album.